You are here: Home » Forums » Welcome » Diet or eating plan ? Diet or eating plan ? 2. 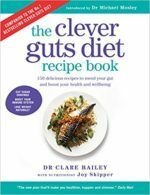 What is the difference between Clever Guts and a Paleo diet ?